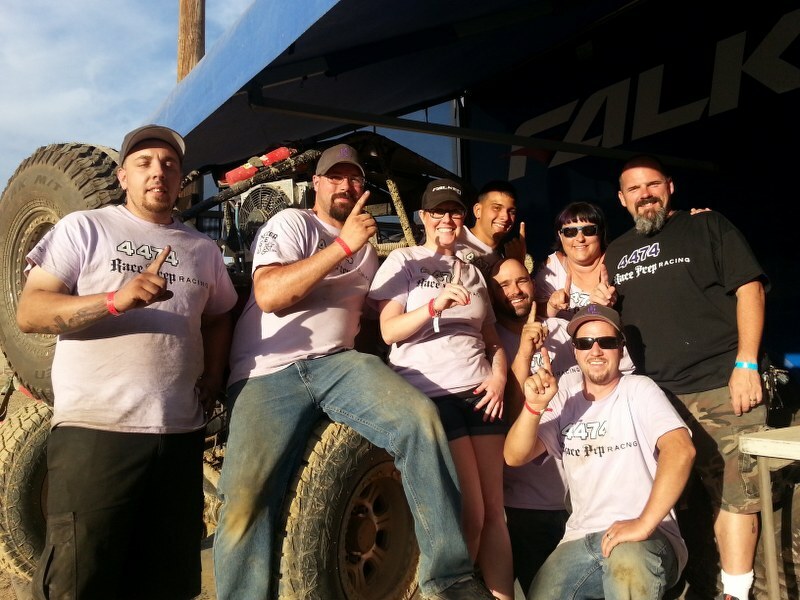 GLEN HELEN RACEWAY, CA – July 12, 2014 In their first Western Regional Race of 2014 and their first regional race in the newly created Ultra4 Legends Class, Race Prep Racing outlasted the other Legends teams and took the checkered flag for the win on July 12, 2014. Richie Carter, driver of the 4474 Legends Class car, credits perseverance and hard work for the team’s success. The pit crew battled fueling issues all weekend still managing to put down good lap times during the preliminary heats when it counted. Though the final wasn’t pretty – the car sputtered and popped during most of the race – this is endurance racing and the car, driver, and crew worked for 90 minutes keeping the car moving and the lap times consistent. In the end, Race Prep Racing put down two more laps than its closest competitor and took the win in their class. “My pit crew is simply the best. 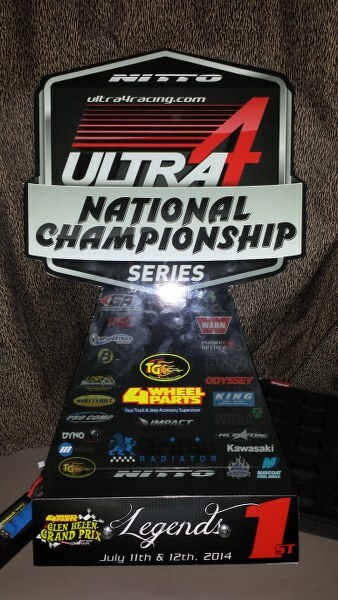 This is a total team effort and this is a team win,” Carter commented, adding, “None of this would be possible without the crew and our sponsors.” Falken Tire, Warn Industries, Dynomax Performance Exhaust, Odyssey Battery, Race Prep Hobbies, RCV, Raceline Wheels, Coast Motor Supply, and TheGSF all support the Race Prep Racing team. “Falken is simply indescribable as a supporter. The tires are epic, but that is only half of it. They care for us like family. We couldn’t do this without them,” says co-driver and co-owner Kristen Carter of the team’s title sponsor. The 4474 will race again in February 2015 at King of the Hammers. 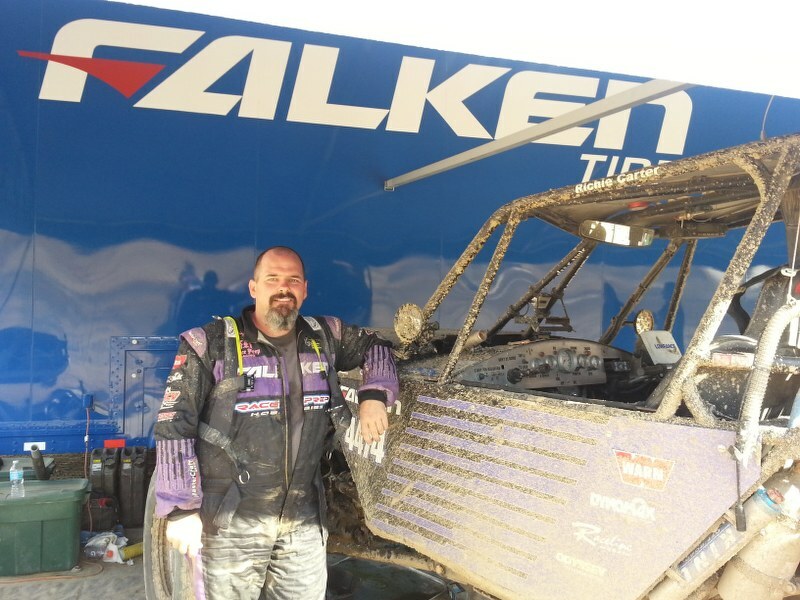 This will be the 5th King of the Hammers for Race Prep Racing and the 4474 car. For more information about Race Prep Racing, Richie Carter or the team, please contact Kristen Carter, Team Manager, atKristen@raceprepracing.com.